At the beginning of Britain and Frances’ final showdown for America, delegates from across America came together to devise a union for a stronger colonial defense. The Birth of the American Union marker does indeed lay claim to the spot where one of the founding moments in the creation of the union took place. It was around this marker the all important Albany plan of Union was held in 1754. A number of American intellectuals, especially Benjamin Franklin were beginning to voice their opinion about the importance of the Thirteen Colonies acting as one. Franklin himself was ‘inspired by the founding ideals of the Iroquois Confederacy that stated that one arrow was easy to break, but a bundle of arrows was much more difficult. In 1754, at the outbreak of the French and Indian War, a number of colonies, among them Franklin’s home of Pennsylvania, was at a large risk of raids by the French and their Native American Allies. After a breakdown in relations between the British and their main Native American allies the Mohawks occurred, the British government ordered a meeting of the Colonial governments in Albany to handle the situation. While only 7 colonies sent delegates, they met in Albany in June of 1754 to work on colonial-Indian relations and come up with a plan to unite in defense against frontier raids. They developed a plan whereas the colonies in times of crisis sent delegates for a grand council. Then Britain choose a council general among the delegates to lead it. They were to preside over Indian-colonial relations as well as solve disputes within the colonies. While approved by the delegates, the plan never came to fruition. The colonial governments saw this as a plan to weaken their power and Britain believed that their own delegates could handle any situation that arose. The Albany Plan of Union was by no means a plan to declare independence from Britain. That being said this was the first time in the colonies that a plan for a unification of the colonies was created. It would also serve as inspiration for the leaders of the American independence movements that would soon follow. The ideas of the Continental Congress and a united American rebellion against Britain would not have been possible without the fateful Albany plan of Union. "Albany Plan of Union, 1754 - 1750–1775 - Milestones - Office of the Historian." Albany Plan of Union, 1754 - 1750–1775 - Milestones - Office of the Historian. 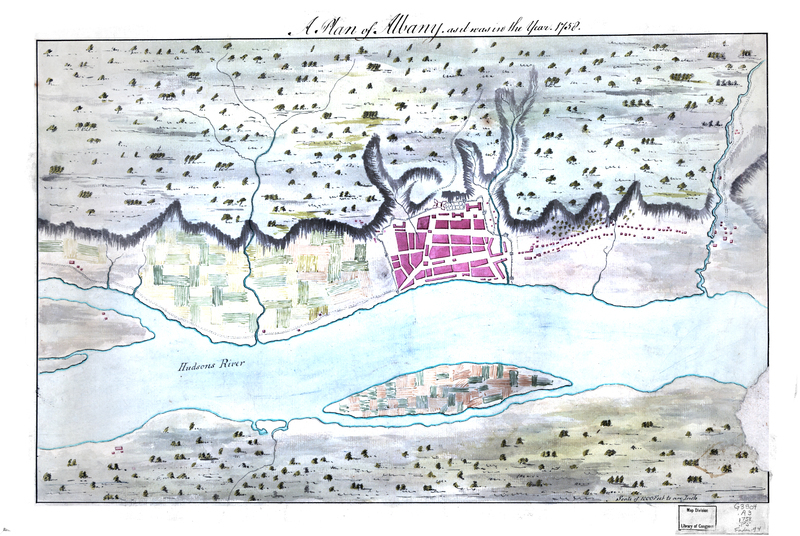 Accessed March 24, 2016. https://history.state.gov/milestones/1750-1775/albany-plan.
."Albany Plan of Union." Wikipedia. Accessed March 24, 2016. https://en.wikipedia.org/wiki/Albany_Plan. Benjamin Sano, “Birth of the American Union Marker,” Albany Walks for Health, accessed April 20, 2019, http://www.albanywalksforhealth.com/items/show/132.